The Woodlands, Texas –The Woodlands Area Chamber of Commerce is pleased to announce that community leader, LaToya Carter, will deliver a keynote address at the 2019 Volunteer Appreciation Luncheon on Friday, April 26 from 11 a.m. to 1 p.m. at the Sts. Simon & Jude Catholic Parish Event Center. Carter has strong ties to the nonprofit community in The Woodlands area. She started out as a client of Family Promise of Montgomery County, a homeless shelter for families with children, and went on to serve as the organization’s executive director. During her nearly eight-year tenure, she helped 119 families, totaling 363 individuals of which 219 were children. In February 2019, Carter accepted a human resources position at Yes to Youth – Montgomery County Youth Services, a local nonprofit that provides individual and family counseling to at-risk youth and temporary shelter for homeless youth. 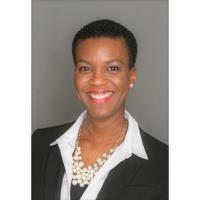 Carter earned a bachelor’s degree in general business administration from Sam Houston University and is a graduate of Leadership Montgomery County Class of 2016. She is involved in various other nonprofit organizations and has served on the board of trustees for the Montgomery County Homeless Coalition in the capacity of an advisory board member for the Community Assistance Center in Conroe. The 2019 Volunteer Appreciation Luncheon themed “Our Volunteers Sparkle – Volunteers are a Community’s Best Friend” will celebrate the tremendous contributions that nonprofit organizations and their devoted volunteers make to the community. The Chamber invites its nonprofit members to register a staff member and volunteer for the complimentary luncheon. Registration and further event details are available at www.WoodlandsChamber.org/VAL. To learn about available sponsorship opportunities, please contact Cyndi Alvarado. at cyndi.alvarado@woodlandschamber.org or 281-363-8109.